Detective Jay Swan (Aaron Pedersen) is assigned to investigate the mysterious disappearance of two young farm hands on an outback cattle station. One is a local Indigenous footy hero, and the other a backpacker. Working with local cop Emma James (Judy Davis), Jay's investigation uncovers a past injustice that threatens the fabric of the whole community. 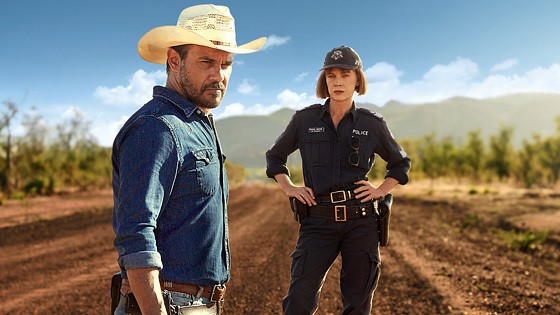 A six part spin-off from Ivan Sen's feature films Mystery Road and Goldstone. article: Judy Davis was my Marlon Brando moment!